The under 11s prizewinners, back row from left, were Ben Price, Reece Pemberton,Toby Cotton, Henri Harness, front row, Harry Masters, Henry Price, Ben Eagles, Nathaniel Sutcliffe. Horncastle Junior Cricket Club held their annual awards night, which was well supported by players and parents there to celebrate a successful year. Horncastle have three teams in the East Lindsay league, the under 11s, 13s and 15s. The under 11s and under 15s won their leagues and the under 13s came second. 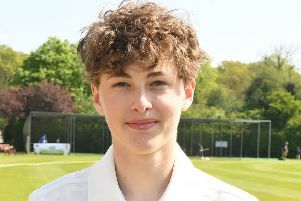 Tom Wilkinson, Horncastle Junior Cricket co-ordinator, commented the juniors had had a tremendous season, playing some high quality and exciting cricket. He thanked all the parents for their fantastic support and the junior coaches, Piers Pemberton, Neil Lancaster, Richard Kisby and Kevin Richardson, for doing a fantastic job. 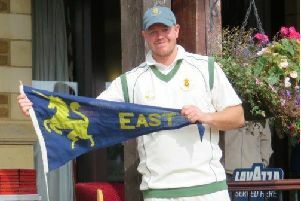 The club are already preparing for next season, with indoor nets starting in February at Queen Elizabeth’s Grammar School and, for the first time, they hope to be entering an Under nines team in the East Lindsey League. From the under 15s group, prize winners were, back row from left, Liam Cotton, Harry Coulthurst, Aaron Bruce, front row, Isaac Bell, Josh Kisby, Evan Wood.